Before we get into the nitty gritty of a great craft gin label, it’s probably important to understand how the craft gin market has evolved in South Africa. It has taken only a few years for gin to have fundamentally changed in the eyes of the consumer. From a hard tac “older persons” drink to a more feminine, trendy and elegant drink. The name gin originates from ‘genever’, the Dutch word for juniper, which is what gives it it’s unique flavour and aroma. The use of juniper berries for medicinal purposes goes as far back as the 1100s, but it seems that the first mention of them being used in a distilled brew was in the mid-1500s. Hop forward to the late 1700s England where gin became popular amongst soldiers and colonials heading off to malaria ridden lands. They used it together with tonic to ward off malaria and this era became known as “The Gin Craze”. Gin is said to have arrived in South Africa during the 19th century, where it’s popularity continued as an anti-malaria remedy, but may have been usurped by being the perfect accompaniment to a glorious African sunset. Such humble beginnings for a liquor that, since 2015, has grown from just a handful of producers to over 135 locally produced gins by 65 companies! Exciting times ahead for both consumers and manufacturers alike. As a craft gin manufacturer, the marketing and packaging of your infusion has never been more important than now, you’re competing against a burgeoning market with some already steadfast favourites. Luckily, craft gin appeals to a wide range of consumers, encompassing all walks of life, and has been incorporated into both formal celebrations and the Saturday afternoon braai alike. The South African market has embraced the distinctly African flavours, of rooibos, marula and fynbos amongst others, providing a wide range of choice for the craft gin connoisseur and making it a celebration of our diverse country. Make sure your marketing shares in this celebration. 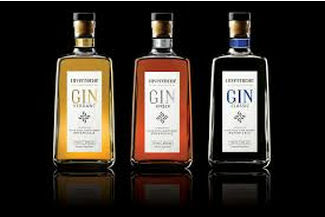 The use of different shaped or coloured bottles can add a sense of sophistication or playfulness to your craft gin. If you have an especially striking hue to your tincture, opting for a clear, simple bottle will draw attention to its colour. The same can be said when appealing to the sophisticated connoisseur, keeping the bottle clear while minimising the labeling will draw attention to the clarity of your gin. Using a coloured glass bottle will help in making it stand out next to its more minimalist counter parts. With its humble medicinal origins, the use of a medicinal style bottle has been used by some manufacturers with a lot of success. Whatever your decision, make sure that it enhances your product and reaches out to the consumer. 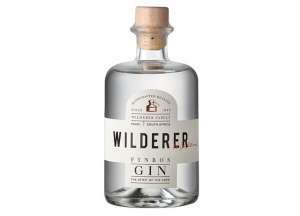 Wilderer Fynbos Gin makes use of the classic medicine bottle shape to appeal to the origin of gin. It’s label too is plain and striking thus appealing to the sophisticated connoisseur. 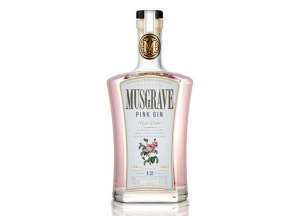 Musgrave Pink Gin makes use of a clear bottle in order to show off the beautifull pink hue of the gin. Your label tells the story of your craft gin and is therefore of the utmost importance. Keeping in mind the amount of information your label needs to contain. The first decision that you will need to make is the size and then the number of labels on the bottle as well as whether to include a label on the neck of your bottle. The type of bottle you have chosen is an important consideration and they should complement one another, providing the right amount of space for your product to speak for itself. There are some striking examples out there and proof that consumers decisions are based predominantly on the packaging. For the sophisticated; minimalist with a burst of colour or a sleek metallic geometric formation. A hand-written batch number and vintage will also provide just the right amount of personal touch and uniqueness. For the fun-loving; a playful sketch or cartoon, in bright colours providing a hint of the fun that is to come. The use of textures, whether in the text or substrate of your craft gin label, will add a depth that will inspire the consumer to touch, which is a step away from picking it up. The options are infinite and varied, but all so important, your label should always incorporate the story of your product. 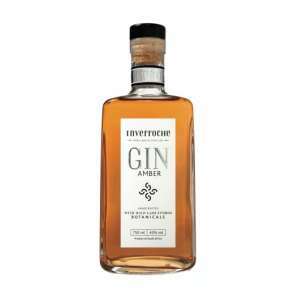 The Inverroche gin label is perfectly poised to appeal to the sophisticated craft gin consumer. Minimalist with a touch of geometric pattern. This gin is well known for it’s superior quality. 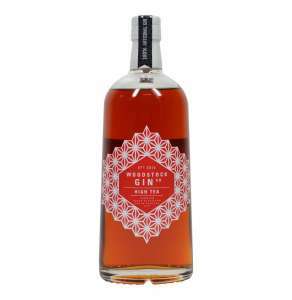 Woodstock gin is a little more playful and appeals to the more fun-loving market. It’s label is feminine and doesn’t take itself too seriously. 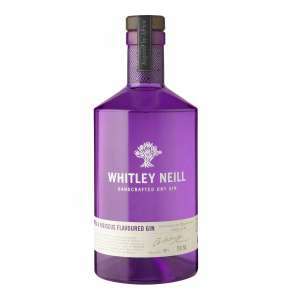 Whitely Neill gins have a variety of different flavours all in different coloured bottles. This is one of the only gin labels that has a fully coloured bottle. Making it an appealing drink to the trendier crowd. Craft gin is called so for a reason. It is created through blood, sweat and tears, the distiller toiling away, late into the night, uniquely crafting a combination that will thrill the taste buds. Not an easy task. Isn’t it only fair that this hard work is displayed in the best possible way with the perfect bottle and distinctive craft gin label? It is important to partner with a label manufacturer that understands your industry and what is required in craft gin label production. Rebsons Labels is a leading supplier of labels in South Africa and produce self-adhesive labels for local and international clientele from various industries. For the highest quality craft gin labels through either digital printing or various other label printing processes contact Rebsons Labels today to discuss your needs.